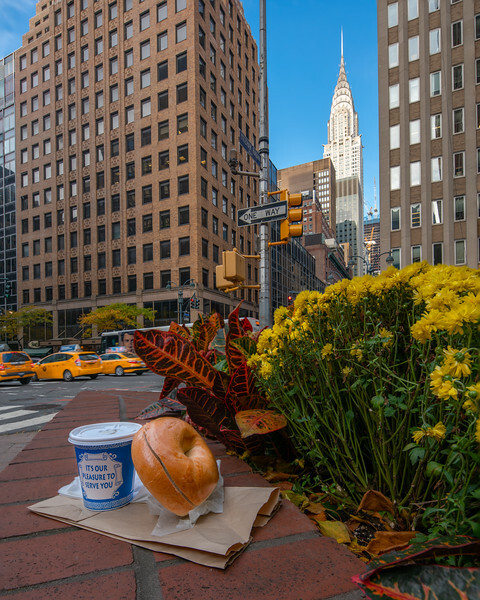 Coffee and bagel with cream cheese, with taxis to the left and Chrysler to the right! The coffee and bagel was purchased from a street cart vendor nearby. Perfect morning pair!